As nations around the world struggle to halt the Earth’s rising temperature, China has made the transition to low-carbon transport a priority. As part of the effort to develop low-emission vehicles, national electric car manufacturers have enjoyed significant support from the Chinese government. Yet their sales are dwarfed by those of a pint-sized competitor: the low-speed electric vehicle. Despite the name, low-speed electric vehicles (LSEVs) aren’t actually that slow. With a top speed of 60km/h, they’re fast enough for getting around big and heavily congested cities. Most models are compact, resembling three-wheeled utility vehicles or golf buggies –a practical solution for the dire lack parking spaces that have become a significant problem as more and more people take up driving in China. But perhaps the biggest draw of the LSEV is its cost efficiency, with an average price tag of £4,000. What’s more, all owners of these vehicles in China will now get a license plate, regardless of the brand or the size of their vehicle. This is remarkable, because until recently, most LSEVs did not even have a license plate – indeed, until October 2016, there were no rules governing the manufacture or use of LSEVs whatsoever. But now, the government has announced its intention to oversee the sector, and these vehicles are set to play a major role in China’s rapid urbanisation. China’s new urbanisation plan foresees the migration of 100m people to third and fourth tier cities by 2020, so affordable transport is imperative. By gaining oversight on the growth and development of LSEVs, the Chinese government has acquired a new tool for reshaping the urban environment. In particular, China has a reputation for car-centred cities, which suffer from heavy traffic and pollution. 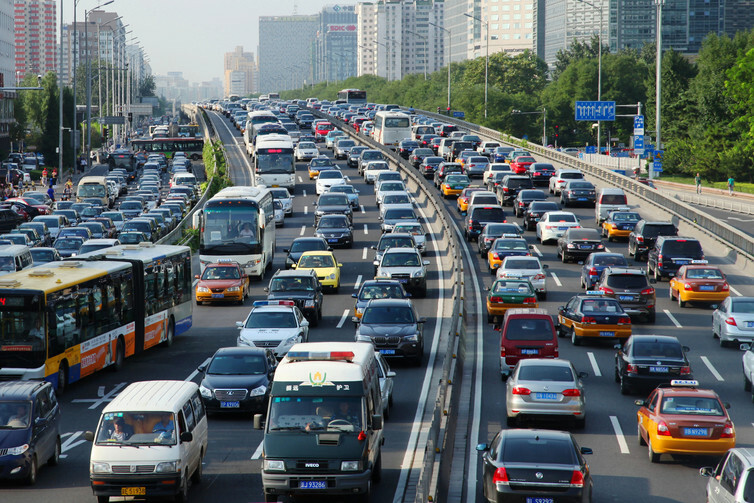 While the best option would be to direct people onto public transport, LSEVs can play a major role in cleaning up Chinese cities, by offering a more compact, low-emission alternative for aspiring car owners. But the LSEV is not the only urban “low-tech” transport option in China. There are also about 300m electric scooters of different shapes and makes. In fact, electric two-wheelers are currently the most popular alternative fuel vehicles in the history of motorisation in China. Yet for a long time, e-bikes have been a thorn in the side of city authorities, which favour high-tech mobility solutions to make their cities look more modern. Indeed, stricter rules have been imposed in Beijing and Shenzhen, among other cities, in a controversial effort to curb their use. Whether e-bikes could eventually become extinct is hard to say. Our own research into low-carbon mobility innovation in China suggests that e-bikes and LSEVs will continue to co-exist and compete with each other for some decades to come. Yet the Chinese government’s decision to give LSEVs formal legal status will definitely give their manufacturers a fresh edge in the low-tech mobility game. Yet previous attempts to regulate China’s EV businesses have – to put it mildly – got out of hand: in August this year, it was reported that 90% of EV manufacturers could be put out of business by tough new rules. In other words, though regulation will raise standards, it will also favour a few big producers and stifle competition. Even so, China currently boasts the largest number of privately-owned LSEVs of any country in the world, as well as the largest number of LSEVs used for car-sharing. And the Chinese government is keen to build on this success. 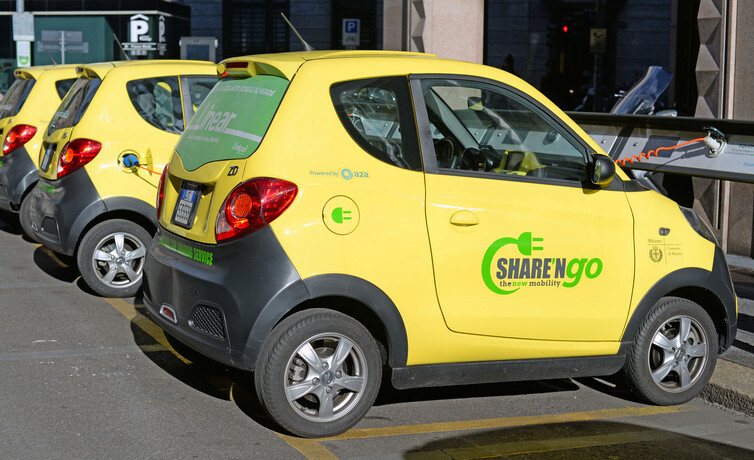 Made in China: Milan’s Share’n’go scheme. There is already a growing global interest in smaller LSEVs, including foldable EVs in European cities and 3D printable EVs in Japan. But so far, many international cities have been reluctant to adopt them on large scale. As a result, LSEVs have remained a marginal “neighborhood EV”. By controlling this booming sector, the Chinese government will be able to raise standards. This will not only benefit consumers and boost sales internally, but also help manufacturers to reach into new markets in European cities, such as Milan in Italy. Tapping into international markets will give manufacturers more capital to reinvest in upgrading LSEV technology and adding new features. As a result, these vehicles will become even more appealing, and better able to compete with cars and conventional EVs for both individual consumers, and contracts for city-wide car-sharing schemes. As some scholars like to say, “as China goes, so goes the world”. More modestly speaking, many countries around the world are likely to follow China’s lead, when it comes to urban development. The Chinese government’s decision to oversee the production of LSEVs shows that China is serious about steering the development of low-carbon mobility, not just at home but all around the world. Greener Ideal strives to help you live your life in more sustainable ways with green living tips, healthy recipes and commentary on the latest environment news.